Montreal-based DC Books was founded by husband-and-wife Louis Dudek and Aileen Collins in 1974 (DC = Dudek and Collins). The press had ties to John Sutherland’s northern review (which was itself a product of the merger of magazines Preview and First Statement). Deeply respected as a poet, the DC Books founding editor, the late Louis Dudek, brought his talents and experience to bear upon the editing tasks at DC Books up until his his death in 2001. A contemporary of other anglophone Montreal writers like Leonard Cohen, Irving Layton and Phyllis Webb, Dudek set the tone for this ambitiously innovative press. The first book DC published was dk/some letters of Ezra Pound, a collection of letters between Dudek and the famed poet. 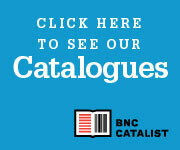 Since then, the press has released around 100 works of fiction, non-fiction, and poetry: all ascribing to DC’s mandate of serving the literary community of the English-language minority of Quebec, while also bringing important contemporary Québecois literary and heritage-linked works in translation to an English-language readership. The DC Books team is itself a dream-team of Canadian writers: the editor-in-chief is the poet Steve Luxton, former editor of Matrix Magazine and founder and editor of The Moosehead Review; the managing editor is the novelist and political essayist, Keith Henderson; the poetry editor is Jason Camlot; and the fiction editor is David McGimpsey. Together, they release works like those from the Punchy Writing series, designed to be receptive to struggling-to-be-heard sources of imaginative writing, especially young, fresh-voiced literary artists. One such writer who got her start with the press is three-time Giller nominee Heather O’Neill, whose poetry collection two eyes are you sleeping was published with DC. Another, Scott Randall and his book, And to Say Hello – an ironic, quietly effective collection of short stories – was a double winner this year of both the US Independent Publishers gold medal for best fiction from Eastern Canada and the City of Ottawa's award for best fiction. DC also publishes the Railfare imprint, headed up by David R. Henderson. Railfare began separately from DC Books in the 1960s, publishing complete and authoritative reference titles about Canadian railway and transit systems. While reference books, Railfare also strives to make them imaginative works that discuss Canada’s railway history and culture, as well as its specifications. In sum, don’t miss this literary train: let DC and their beautifully-written books take you on a trip today.